The last meeting of the year at the Marsa Racetrack, the 48th in all, was held yesterday afternoon. It consisted of 10 races, all for trotters. As expected, the VOB final for Premier Class trotters, staged over a long distance of 2,640 metres, was the main attraction on the card. The race was won by Palazio Valterne, a French horse under the guidance of David Ellul. The final was contested by nine horses. They qualified on the back of their results in competitions organised recently by the Malta Racing Club for top-category trotters. However, Okilaibo, which recently triumphed in the Prix De Vincennes final, was missing from the line-up. It was around 900m from the post that Palazio Valterne started to up its pace considerably. Eventually, it nosed ahead as the front runners turned for the final straight and went on to chalk its second win at Marsa, well ahead of Quel Noir (Brian Zammit). Favourites B.W.L. Champion (Noel Baldacchino) and Vejby Boom (Charles Camilleri), both taking part in the final after winning two recent races, claimed the other top-four positions in that order. At the end of the race, Malta Racing Club official Fidel Dalli presented the trophy to Ellul and Emmanuel Vella, owner of the winning horse which clocked an average time of 1.18” per kilometre. Yesterday’s card also included another Premier Class race but on the shorter distance of 2,140 metres. Here, young driver Andre Farrugia continued to show progress after winning his first race in the category with French trotter Quillian Joyeux. Quillian Joyeux increased its speed with some 300m to go and won the race less than a length ahead of P.A. Surprise (Mario Farrugia) and Wee Catch Diamond (Joseph Mercieca). Ourasi Diams (Anthony Fenech) followed home in fourth place. For Quillian Joyeux, this was also its first win at the Marsa Racetrack. In the first Gold Class race, Querten (Eman Attard) surged ahead midway through the straight for home and was first past the post ahead of Quazoumax (Andre Farrugia) and Panda Des Fleches (Ian Meli). Peanut Butter (Emmanuel Bugeja) was fourth. Xray Hornline (Donio Vella) stormed clear of the field in the final metres of the other Gold Class race. 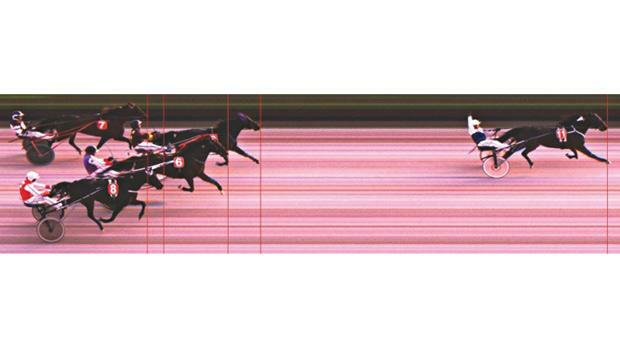 Photo-finish in the VOB final, won by Palazio Valterne. 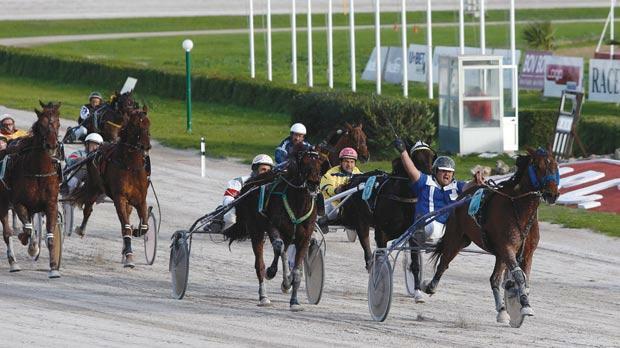 This Swedish trotter took its first win a length from Milord Barbes (George Debono), Rocky Composite (Mario Borg) and Carnegie Hall (Anthony Cassar). Meanwhile, during yesterday’s meeting Charles Camilleri was given an award after being voted best driver of the month. Camilleri was presented with a commemorative plaque by Dalli. The 2015 season starts on January 18. Race 4: Bronze. Troubadour S (Charles Magro).